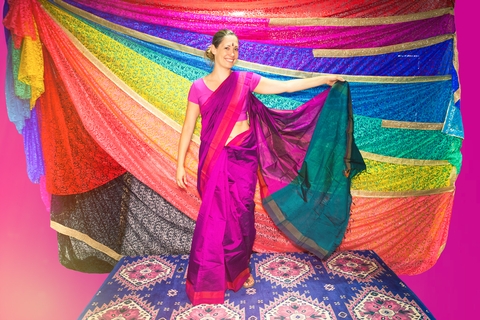 Some in the western media have had an issue with more traditional Indian outfits – the saree, the kurta, the dhoti and seem to link it to rise of Indian nationalism sparked by the present government. Such western media and possibly the corporate interests they represent – seem to be upset that their plan to see “luxury brands from countries become popular with India’s booming middle class and youthful population” – which they acknowledge to be the world’s largest” DID NOT MATERIALIZE. Why so – due to the “make in India” campaign, to Indianize Indian fashion, to make our Indian dresses part of the traditional dress code for government officials and politicians, a push to promote Indian culture and all this would promote employment both directly and indirectly. AND INSTILL PRIDE IN INDIANNESS… few Indians would argue with such logic.